You have probably figured out by now that I have a deep love for healthy foods, but did you know that I also love being SURROUNDED by healthy foods? Yup, its true… I can easily get lost in a Whole Foods or a local health food store for quite some time, reading labels, looking at new foods, and discussing the benefits of different supplements with an employee (nerd alert, I know). With my declared love for health food stores in general, you might think that I don’t have a favorite section, a number one spot… but actually, I do. There is a section in most health food stores that I wish more people knew about and utilized. It is a magical place that I send all of my clients to explore, a place that you get to choose how much you take home of each item, a place that makes purchasing healthy ingredients easier on our wallets, a place that lets us try new things without having to commit to a large quantity… That’s right my sunshine loves, there is a place that has all of this and more, and it is called “the bulk section”. Most health food stores have a bulk section where they offer many different food items, everything from dried beans to superfoods. You have the power to choose how much you take home of each item, and because you aren’t paying for fancy, colorful packaging, the price per pound is usually a lot less then the same pre-packaged versions found on the shelves. 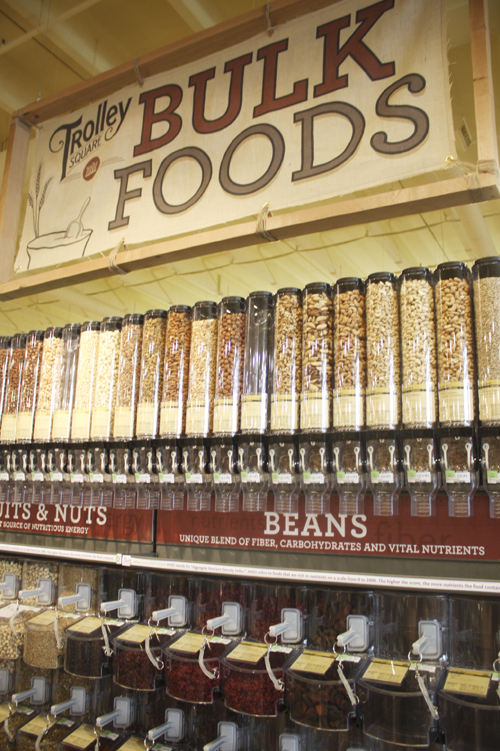 If you already use and love the bulk section at your health food store, high five! 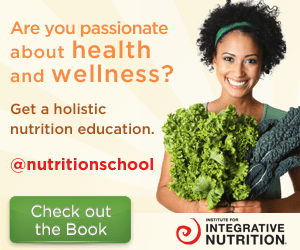 If you have no idea what I am talking about, or know about a possible bulk section in your health food store but are feeling intimidated or confused by it, this blog post is for you! Ok, so let’s start at the beginning. The bulk section is quite literally an area in the grocery store that offers a number of different food items in large (or small) quantity. Want 3 lbs. of rolled oats to make oatmeal every morning for the next 2 months? It’s in the bulk section. 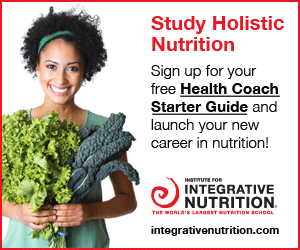 Curious what this chia seed hype is all about? Grab yourself a small amount from the bulk bin before committing to a bigger bag. You can find dried beans, grains, dried fruits, seeds, nuts, rice, lentils, trail mix, granola, flavorings, dessert bites, flours, snacks, popcorn, oats, etc… The list can go on and on depending on how extravagant your bulk section is, but you get the idea, right? So, why is the bulk section so intimidating? A friend got me thinking about this question last week over happy hour drinks and edamame (hence, this blog post). She described to me her first experience with the bulk section and how it quickly became her last after the cashier asked for the PLU# for each item. She was confused, felt embarrassed for not knowing where to get this PLU#, and therefore, never went back. Her story got me thinking about the time when I was a newbie in health food stores, particularly in the bulk section, and I remembered the feelings of overwhelm and confusion. – There are many different items in the bulk section, so creating some kind of list beforehand usually helps to make it feel less intimidating. On the other hand, if you see something new, I encourage you to try it out. – There should be plastic or paper bags available to use as the container for whatever item(s) you are wanting. If you don’t see them, simply ask. They may have run out. – There are usually separate scoops for each bin. Use the designated scoop to take out however much you want of each item and place it in the plastic or paper bag. – There is a reference number (PLU# as mentioned above) that allows each item to be priced accordingly at check out. Usually the store expects you to make note of this number before seeing the cashier. If there are paper ties available to close the bags with, write the number on the tie. Some of the newer stores have computer systems, so if this is the case, place your bag of goodies on the scale and type in the corresponding item number, then print the sticker and place it on the bag. – Cooking instructions for appropriate items are listed on the label with ingredients, so make sure to take note of them. After forgetting the directions more times then I would like to admit, I started to take pictures of the label with my phone to have as reference. – Take caution with the containers that pour out with a lever versus the ones that have a scoop. Push down on the lever slowly, allowing the bottom to open up and pour out steadily rather than all at once. – Don’t mix and match from different bins in the same bag. As fun as this idea is, the prices are usually different, creating a disaster at check out. – If you are on a tight budget, use the scale that is available. This will help to give you a pretty accurate estimate of what the price will be at checkout. Remember, start small and add to it because taking out the excess can get messy, and is most likely frowned upon by the person who has to sweep that aisle. – Take your time and be patient. There is no need to be pushy or aggressive in the bulk section because there is plenty to go around (usually). It can be easy to forget wanted items if rushed through, so take a deep breath and enjoy the moment. – And lastly, and possibly most importantly, don’t be scared to ask for help. Most likely, a staff member would love to share guidance, so if you are feeling confused or looking for something that you don’t see, just ask! 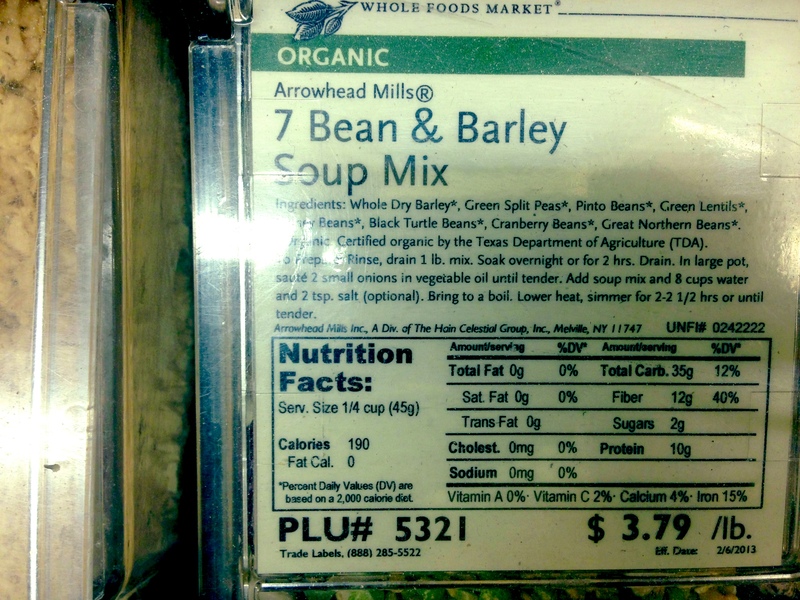 Tags: affordable, beans, bulk, flours, grains, granola, legumes, lentils, nuts, seeds. Bookmark the permalink.